Property is in the grounds of the owner's house. Parking is the spacious driveway of the owner's house. There is a 40 metre walk down a public footpath to the property from the parking space. There is some visibility of the owner's allotment from the property but for the most part it is private. Please note: Property can be booked for short breaks with any day start. A pet fee of £30 is applicable per week, per pet. Broomley Cottage is ideally situated with good dog walks on the door step and many interesting towns, villages, gardens and historical sites within easy reach. 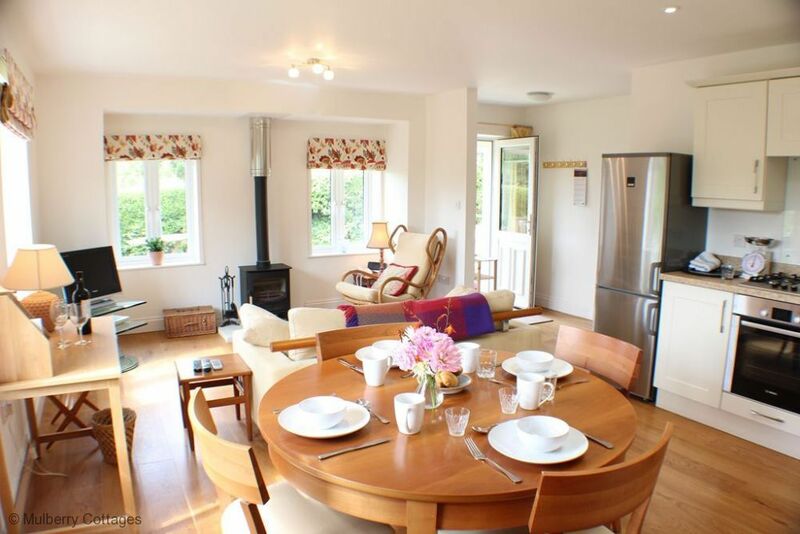 The Cottage is clean, comfortable and well equipped, one of the best we've stayed in. The owners who live next door are friendly and helpful without being obtrusive. Thank you for such great feedback, we hope to see you again soon. Compleet huisje van alle gemakken voorzien.